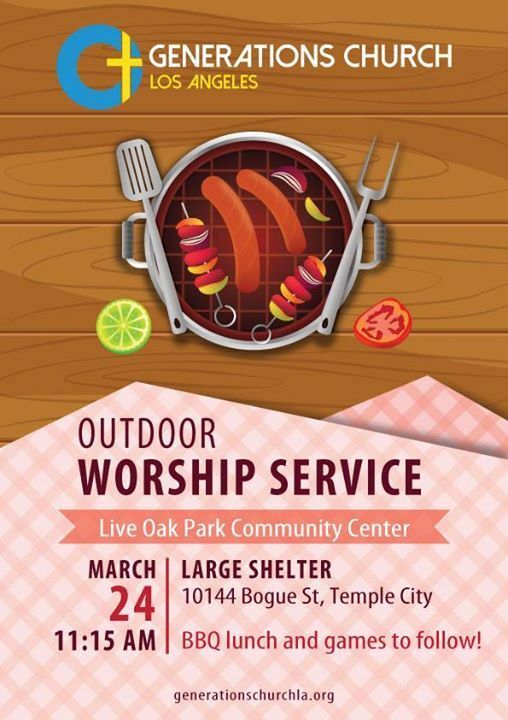 An outdoor worship service followed by a church BBQ, fellowship, fun and games. Newcomers welcome! "Where Love Works, Grace Shines, Faith Grows & Hope Prevails for the Generations." 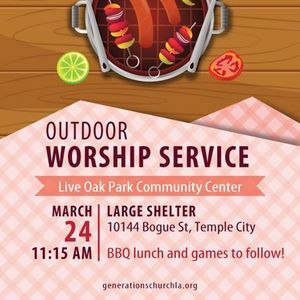 Generations Church LA is a new English congregation of EFC.